Yesterday the weather was so cold, and snowy. Yes I said snowy, that we decided to stay in and keep warm. 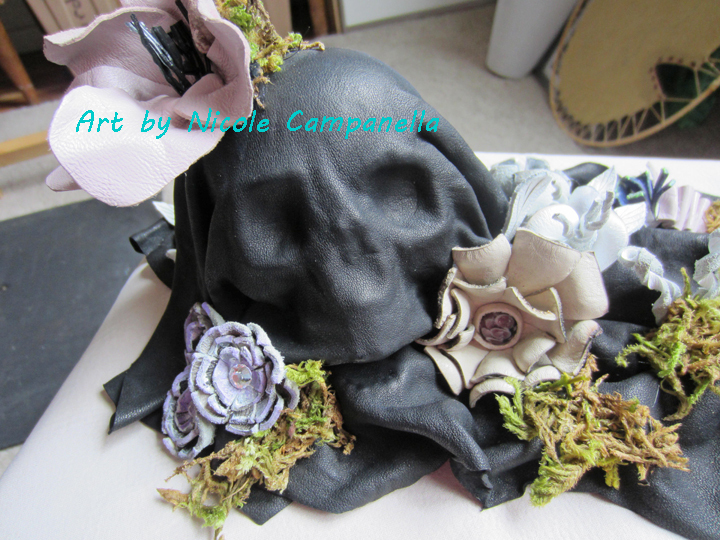 This did give me the extra hours I need to finish one of the leather molded skulls that needed embellishments. This is "Ethel" don't how she got this name bit it fits here. Molded leather with leather flowers. This is also 66 finished pieces of art in 66 days. What are you creating today? Ethel is 12" long and 5" tall without the flower. 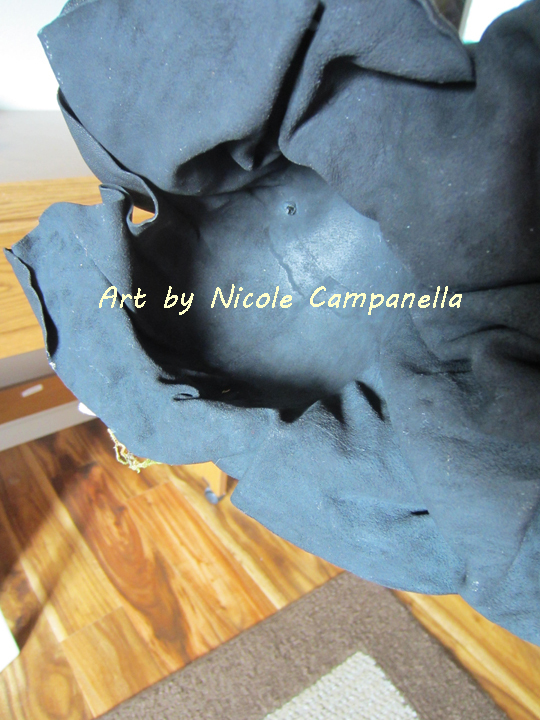 This leather has no mold left behind. The leather is hard and will not look it's shape. Jan you are cracking me up. I am SURE that is what she wants to say. Ethel is wonderful! 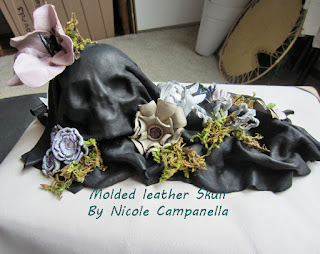 I love your leather pieces, they are amazing. I love Ethel Nicole!!! She is so cool! By the way, keep warm!! Thanks for showing the underside!